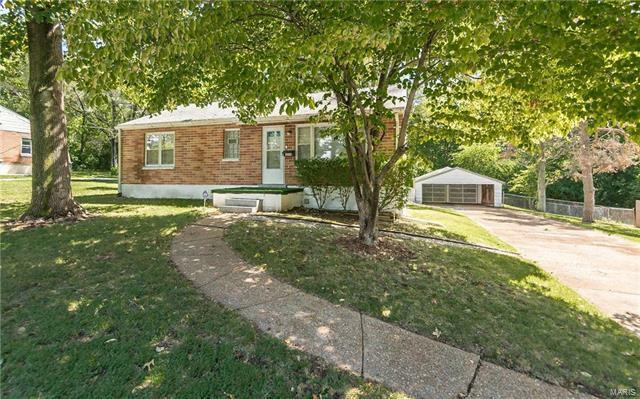 You will not want to miss this 3br 1b home with a 4 car garage & long driveway in Ritenour School District! The bonus is the 3/4 acre lot you gain as part of this purchase. Home is carpeted but has hardwood floors throughout under the carpet! A large part of this acreage is fenced-in & a level lot. The garage is perfect for vehicle storage & a workshop. It’s truly a MUST SEE Piece of LAND! The lower level is dry, clean, bright, painted & sealed. Schedule your appointment today! From 70 east bound take Lambert St. Louis airport, right on Pear tree, left on Country lane, right on Douglas, left on Wright. House is on the left.